Clockwise from left: Donovan, Laura Marling, Richard Thompson, Mumford & Sons. March 19, 2012  World Cafe honors the history of folk music in the United Kingdom with artists who've helped define the sound: John Martyn, Donovan, Bert Jansch, Richard Thompson, Laura Marling and Mumford and Sons. 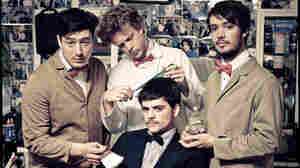 December 27, 2010  After bonding over a shared affinity for country, bluegrass and folk music, Marcus Mumford, Country Winston, Ben Lovett and Ted Dwane began collaborating in 2007, with an enthusiasm that helped land them at the forefront of London's underground folk scene. June 29, 2010  NPR listeners cast thousands of votes for the year's best music and regardless of how the votes fell, it was an exciting chance to pause and look back on what an incredible year it's been for music. 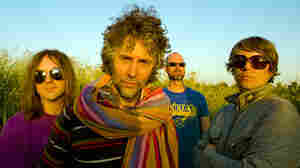 June 16, 2010  On this All Songs Considered host Bob Boilen examines some of the highlights from the enormous Bonaroo Music Festival with Rita Houston of WFUV, Andy Uhler of KUT and Jill Riley of The Current. 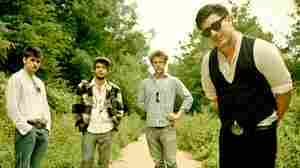 June 12, 2010  Among the leading lights in the London new-folk scene, Mumford and Sons' members have broken through with a rootsy style incorporating the momentum and skittish energy of bluegrass. Hear the band perform live from the Bonnaroo Music Festival in Manchester, Tenn.
June 8, 2010  On this All Songs Considered, Bob talks with WFUV's Rita Houston, Andy Uhler of KUT and Jill Riley of The Current about some of the acts they're most looking forward to seeing at this year's Bonnaroo. February 21, 2010  The music of the West London band Mumford and Sons features banjos and mandolins that conjure images of American folk. 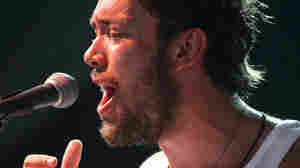 The group's rich harmonies have even drawn comparisons to Crosby, Stills and Nash, but members Marcus Mumford and Ben Lovett say that that's only part of a large cast of influences. February 25, 2009  Whether the group was inspired by America's own recent pop-folk explosion or merely harbors a secret love of twang, there's no denying that Mumford and Sons can jam. "Roll Away Your Stone" is a raw ode to facing demons and starting over.